Kairatune x64 is designed to produce crisp and tight electric sounds for electronic music production. Kairatune x64 is engineered for the demanding producer who needs to push the sound to extremes without compromising audio quality. Kairatune x64 comes with a highly intuitive sound design workflow. 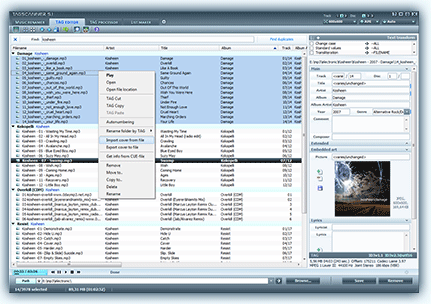 The user interface is designed for a musician rather than an engineer and is based on the concept of pitch and beat in contrast to frequency and time. Kairatune x64 Free Download - we do not host any Kairatune x64 torrent files or links of Kairatune x64 on rapidshare.com, depositfiles.com, megaupload.com etc. All Kairatune x64 download links are direct Kairatune x64 download from publisher site or their selected mirrors. 1.2.4 Mar 4, 2014 New Release · Multi-oscillator sound generator, virtually a single oscillator with the sound of five. · Independent fundamental generator prevents beating at the bottom while enabling full and vivid treble. · Tempo synced envelopes and modulators for rhythmic action. · Advanced stereo image and spatial modulation. · HPF and BPF delay units, phaser, EQ. · All parameters accessible at once on a single panel.